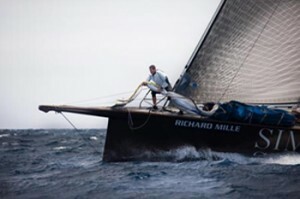 Riding on the success of the first two editions, Les Voiles de Saint Barth will return 2 to 7 April 2012 in the Caribbean Sea. Partner, since the first edition of this prestigious sailing event, Richard Mille will, once again, this appointment. For this third edition, the organizers of Les Voiles de Saint Barth expect an ever more attractive. 70 yachts, one of the most beautiful in the world are already accredited for five days of breathtaking racing. With an increase in enrollments of 30% compared to 2011, the small port of Gustavia next April will be super crowded. A notable success for Les Voiles de Saint Barth who bet, since its inception, and highly sublime paths of sports in a unique sea and in the spirit of a great conviviality. With a greater number of classes in 2012, six in total, the program promises exciting racing. In addition to presenting exceptional as the newest boats, 112 feet to the side of the faithful Sojana Nilaya (Farr) 115 and even the Highland Breeze (Swan) 112, about ten in all in the spectacular Maxi Yacht class, are to include the other classes in the running as the Classic Yacht, the IRC 52, the Spinnaker 1 and 2, the not-Spinnaker and Multihull Racing, with the prospect of exciting challenges!. Succeeding Patrick Demarchelier and Jimmy Buffet, godfather of Les Voiles de Saint Barth 2012 will be Peter Harrison, the famous British entrepreneur, owner of the maxi ketch, of 115 feet, Sojana. 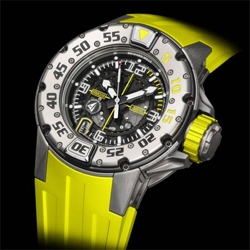 For many years, the brand Richard Mille has found water in the universe one of her favorites. The partnership with Les Voiles de St. Barth represents the perfect example, as well as the subsequent inclusion in the collection of Richard Mille RM 025 Tourbillon Chronograph diver’s watches, Automatic RM 028, RM 028 Automatic Voiles de Saint Barth and RM 032 Chronograph. The brand and very happy to associate your name again in this great gathering water, became internationally famous event as a skipper.